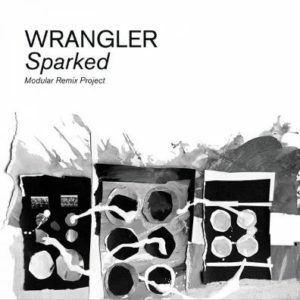 Naturally, given the specialised nature of the brief, WRANGLER approached electronic artists known for their modular approach to synthesis, hence the presence here of DANIEL MILLER, ALESSANDRO CORTINI (NINE INCH NAILS), SOLVENT and CHRIS CARTER. 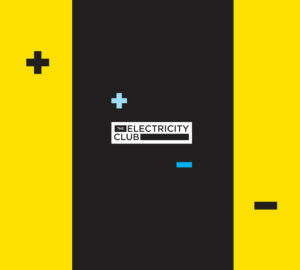 In what is arguably the stand-out remix on the album, Mute boss DANIEL MILLER extracts the gliding bassline and a vocal loop from ‘Theme from Wrangler’ and builds a new track around it with a driving 4/4 kick and flanged Solina strings. Ex-THROBBING GRISTLE synthesist CHRIS CARTER takes the dystopian ‘Lava Land’ and completely reconstructs it, turning it into an industrial wasteland soundscape, leaving the main Logan string part as a ghostly skeletal echo in the far off distance. Whilst SCANNER reworks the title track from the original album, by jettisoning all the original musical parts and building a hypnotic sequencer driven web around Stephen Mallinder’s ‘LA Spark’ vocal, ALESSANDRO CORTINI strips out all of the vocals and percussion, leaving very little (if any residue) from the original ‘Modern World’. What remains is a throbbing, shifting, filtered piece which slowly rises over four minutes before dropping back down again – reminiscent of his film work with TRENT REZNOR, this ‘Modern World’ could quite easily function in a soundtrack context. SOLVENT, who are probably best known for soundtracking the acclaimed ‘I Dream of Wires’ modular synthesizer documentary, remix ‘Harder’, adding a skanking electro-dub vibe with spring reverbed snares and tape delayed vocals. Hissing white noise and analogue drum machine beats frame the track as snippets of sound from the original drift in and out. This leaves the final piece on the album, entitled ‘Theme Meme’, where the band remix themselves over an epic 14 minutes. With KRAFTWERK styled electronic textures and retro Roland Compurhythm beats, the remix acts as a soundbed for Stephen Mallinder’s electronically mangled vocals and harsh synthetic sound effects on top. The final four minutes wind down and help bring the track to a half-tempo closedown. 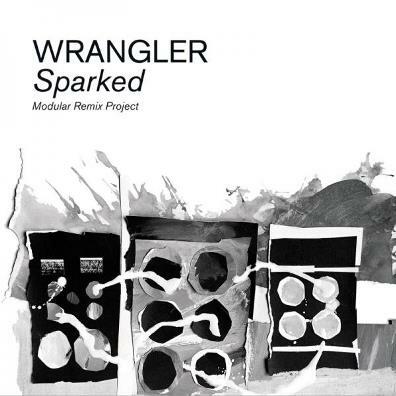 With the emphasis being on the word ‘experimental’ from the original brief, none of these versions (with the exception of DANIEL MILLER’s ‘Theme…’ and DAVID BURRASTON’s ‘Mus IIC’) bear much resemblance to the ‘LA Spark’ originals which is undoubtedly what WRANGLER had in mind when first guesting out the project. As such, the band should be applauded for giving the remixers involved complete artistic freedom here. But fans of ‘LA Spark’ will probably be more comfortable with the original versions, which despite occupying the darker fringes of synthesized music, still feature enough melodic hooks to act as a gateway for those into more mainstream electronica.